Cardiotoxicity of Pesticides: Are Africans at Risk? Cardiovascular disease has maintained the unenviable position as the number one cause of death in the world. It is now clear that the traditional risk factors of cardiovascular disease are driven by primary factors like globalisation, urbanisation, industrialisation and agricultural practices. Pesticide use is an integral component of modern and improved agriculture. The abuse and misuse of these chemicals has caused significant poisoning worldwide and particularly in low- and middle-income countries where Africa belongs. This review surveys the widening population of people poisoned by pesticides in Africa and examines the possibility of pesticide-induced cardiotoxicity. The exposed group includes workers in pesticide industries, transporters of these chemicals, farmers, farm workers who apply these pesticides, vendors and sellers of farm produce and consumers of foodstuffs that are treated with pesticides as well as persons who consume water and inhale air filled with pesticides. There are numerous animal model studies that employ electrocardiography, echocardiography, enzyme studies and histopathology to demonstrate pesticide-induced cardiotoxicity in many parts of the world. There are also case reports and epidemiological data of pesticide-induced cardiovascular intoxication in man. With the increasing reports of pesticide-induced central system nervous toxicity in Africa, there are enough reasons to suspect cardiovascular system poisoning as well. 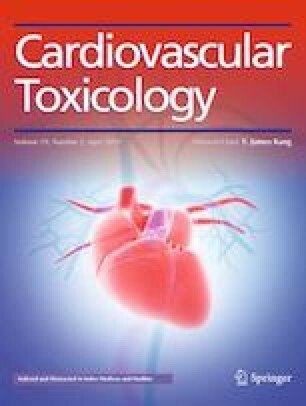 The poorly developed clinical toxicology specialty may explain the low index of suspicion of pesticide-induced cardiovascular diseases. With the pervading ignorance, indiscriminate sale, unguarded use, lack of adequate legislation, inadequate enforcement of legal institutes associated with pesticide use in Africa, there is no doubt that the increasing prevalence and incidence of cardiovascular diseases may partly be due to exposure to these chemicals. Africans may after all be at risk of pesticide-induced cardiotoxicity, but more studies will be required to examine the pattern of cardiotoxicity as well as factors that modulate its occurence. Handling Editor: Dipak K Dube. The authors declare that they have no conflicts of interests. Pesticide Action Network (PAN). (2010). Pesticide health risks for South African emerging farmers Surplus people project. http://www.spp.org.za. Donaldson, D., Kiely, T., Grube, A. Pesticide’s industry sales and usage 1998–1999 market estimates. US Environmental Protection Agency; Washington (DC): Report No. EPA-733-R-02-OOI. Available from http://www.epa.gov/oppbead/pesticides/99pestsales/market-estimates.pdf. de Vos, B. J., Fernandes-Whaley, M., Roos, C., et al. Pesticide use in South Africa: One of the largest importers of pesticides in Africa. https://www.intechopen.com/books/pesticides-in-the-modern-world-pesticides-use-and-management/pesticide-use-in-south-africa-one-of-the-largest-importers-of-pesticides-in-africa. Donelly, J., & Adeyemi, S. A. (1970). Handbook of agricultural insecticides available in Nigeria. The Ministry of Agriculture and Natural Resources, Western State of Nigeria and The Entomological Society of Nigeria, http://www.1970-agris.fao.org. Globally Harmonized System of Classification and Labelling of Chemicals (UNCETDG/GHS) United Nations, 2011. http://www.unece.org/trans/danger/publi/ghs/implementation_e.html. http://www.unece.org/trans/danger/danger.htm. http://www.unece.org/trans/danger/publi/ghs/ghs_welcome_e.html. thenationonlineeng.net. Rilwan 19 july 2015. Experts recipe for beans pest. The point. (2016). http://thepoint.com. Olukemi Adeboye. Leonila, M. V. (2002). Impact of agrochemical on soil and water quality. National crop protection centre, university of the Philippines at Los Banos. http://www.fftc.agnet.org/index.php. PAN Pesticide database. (2011). http://www.pesticideinfo.org. Accessed 20 Mar 2011.
International Trade Centre. (2011). Country market analysis profile, 20.03.2011. Available from http://www.intracen.org. Christian Aid. (2012). Pesticide misuse a major threat to farmers health and food safety. http://allafrica.com/stories/201204200319.html. Accessed 24 Jan 2018. NPA. Northern Presbyterian Agricultural Services and partners. (2012). ‘Ghana’s pesticide crisis: A need for further government action. http://www.christianaid.org.uk/images/ghanaspesticide-crisis.pdf. Accessed 24 Jan 2018. United Nations. (2017). Sustainable development goals report. http://www.un.org. Accessed 14 Mar 2018. Wahab, A., Hod, R., Ismail1, N., et al. (2016). The effect of pesticide exposure on cardiovascular system: A systematic review. International Journal Of Community Medicine And Public Health, 3(1), 1–10. http://www.ijcmph.com. Soderlund, D. M. (2010). Toxicology and mode of action of pyrethroid insecticides. In Hayes handbook of pesticide toxicology (pp. 1665–1686). https://doi.org/10.1016/B978-0-12-374367-1.0077-X.